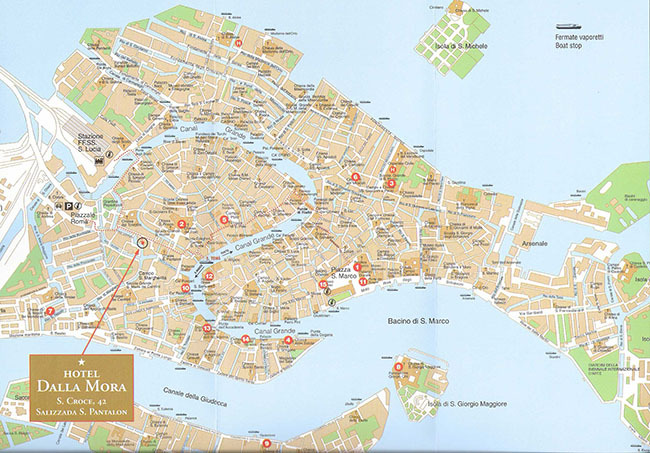 The route shown is for walking to the hotel or, in the other direction, to the cruise ships. The walk takes roughly 30 minutes. The walking route is green, while the purple route includes a portion on the “People Mover”, a small, elevated train that will save you time and effort. The ticket costs 1.50 euros. Information can be found on this link. Porters are always available to help with your luggage, for a reasonable price, both at the boat dock and the People Mover.